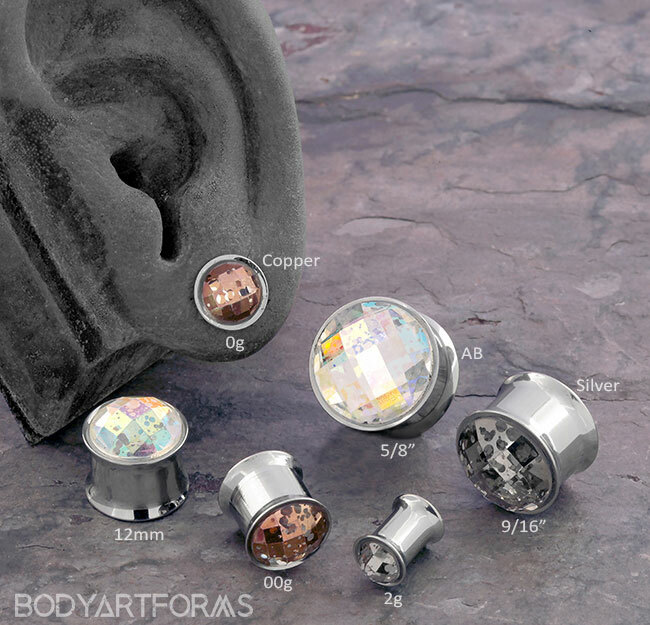 These double flare stainless steel plugs have a square faceted gemstone with a vintage patina finish. Available with an AB, silver, or copper colored gem! The wearable are for all sizes measures 5/16"